Marina Braverman, met her husband Alex at the Shabbaton. “We first met at the Friday-night singles event; that’s where the first connection was made,” describes Braverman, who was attending her second Shabbaton at the time. “We later met again through a rabbi who set us up, but that initial connection was made there.” “We all shared an experience, and even though we all may be on different religious levels—some more and some less—we were all comfortable with each other,” she says. For over 8 years, Chamah partnered with LYO to host the largest annual Shabbaton for the Russian Jewish community. With over 1,000 participants from across fourteen states, Canada, and Russia, it has become the single largest event uniting the Russian Jewish Community in the United States. Chock full of lectures, workshops and entertainment—featuring both English and Russian language lectures—the weekend leaves an indelible mark on its many attendees. Choice of over 70 lectures, seminars, panel discussions, and interactive workshops including world-renowned academics, rabbis, professors, community leaders, psychologists, cantors, TV hosts, and journalists. 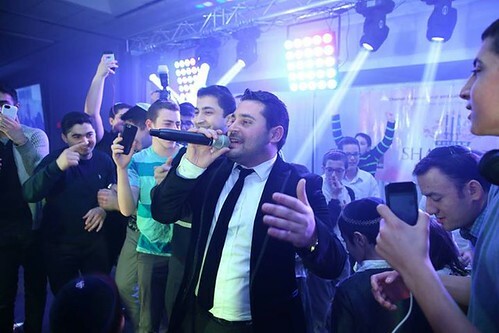 Entertainment throughout the weekend by stars of the Jewish music world, famous singers and musicians in concert with live bands, actors, comedians, etc.